The banks have come out swinging, defending themselves against accusations of abuse and overcharging. An interesting battle between lenders and the University of Stellenbosch’s Law Clinic, joined by Summit Financial Partners and a number of clients, is about to get under way in the Western Cape High Court. The case will decide what charges lenders are allowed to load on to the accounts of defaulting borrowers. 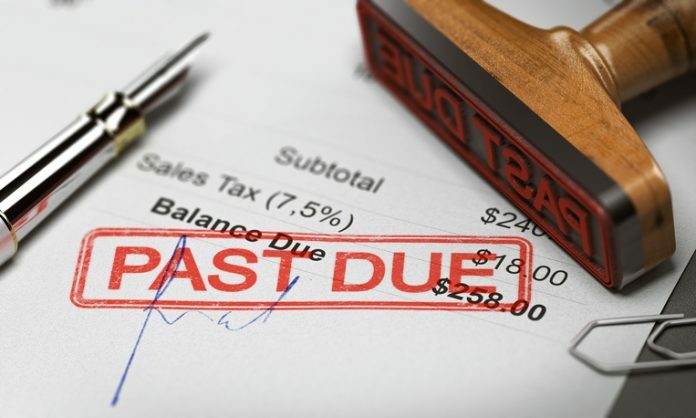 The National Credit Act (NCA) says lenders cannot recover more than double the outstanding debt at the time of default – an old Roman legal principle known as in duplum (‘double’). It is left to organisations such as the Law Clinic, LLHRF and Legal Resources Centre to wage battle on behalf of the poor, and many of their fights involve abstruse arguments over the interpretation of what constitutes ‘collections costs’ and ‘administration fees’. That’s exactly the fight the Law Clinic is currently waging against lenders. The banks and their highly paid lawyers have chosen the most self-serving interpretation of these terms, when it is clear the legislators who drafted the NCA were attempting to curtail lending abuses. The impact of this self-serving interpretation of the law often has catastrophic effects, says Van der Merwe. Reckless lending was one of the main grievances of the 34 striking miners massacred by police in 2012 outside the Lonmin Platinum mine in North West Province. Many of the miners were left with virtually nothing at month-end after deductions in the form of emolument attachment orders (also called garnishee orders) were taken from their salaries. This prompted the then minister of finance and the Banking Association of SA (Basa) to issue a statement saying that its members “commit not to use garnishee orders against credit defaulters, as they believe the use of such orders for credit is inappropriate”. Yet the practice continues, argues the Law Clinic, which decided to summons the major banks and dozens of other lenders before the Western Cape High Court. The Law Clinic is asking the court to stop banks from sidestepping the in duplum rule. In several cases cited by the Law Clinic, borrowers were being asked to pay up to eight times the original amount borrowed because of these unlawful charges. This makes a mockery of the NCA. In its reply to the Law Clinic, and after canvassing its members, Basa says there is little uniformity among banks with regard to recovering debts from defaulting borrowers. Some start with various in-house collection methods, and where these fail, hand the accounts over to external debt collectors. If that also fails, the account is handed over to attorneys for collection. Some banks argue that the in duplum rule only applies to debts prior to obtaining judgment – meaning they are free to load additional collection costs and interest after judgment is obtained. Van der Merwe points out that this lack of uniformity in applying the in duplumprinciple by the banks is concerning, as debtors of certain banks will unfairly be expected to pay more that those of other banks or lending institutions. “It shows why this application is so vital to bring certainty to the SA credit industry,” he says. Basa argues that banks are entitled to add attorneys and advocates’ fees once judgment has been obtained against a defaulting client, as these fall outside the NCA’s definition of collection costs. To count legal fees as collection costs limits the banks’ ability to pursue legal action against the defaulting client, and removes any incentive for the borrower to repay the outstanding debt. The banks argue that once judgment has been taken against a defaulting borrower, a new debt is created, and the costs of recovering this new debt include interest, tracing and legal fees. The Law Clinic replies in its court papers that the purpose of the NCA is to protect lower income borrowers, and that the poorer the borrower, the greater the protection that is needed. Adding fat legal fees onto a R10 000 loan in default neuters the NCA and provides virtually no protection for the poor. Unsecured loans to the poor are inherently risky, and lenders are rewarded for this risk through the right to charge higher interest rates. Part of the risk to which banks are exposed is denying them the right to fully recover their legal costs in the event of default. Basa argues that the Law Clinic’s interpretation of the NCA – counting legal costs as part of ‘collection fees’ – curtails the banks’ ability to recover loans and limits the courts’ discretion to award cost orders against defaulters. It also inhibits the banks from approaching the courts for recovery of loans. The Law Clinic replies that the banks are attempting to change common law to suit their arguments, and to continue sidestepping the NCA. The case is expected to be heard in the middle of the year.